While Mainers have been braving winter storms, I have been experiencing my second summer this academic year in Australia. As a Fulbright Senior Scholar, hosted by the University of Melbourne Law School (known as “Uni Melbourne” by the locals), I have been presenting papers, attending classes, and meeting law school colleagues. I have also been engaging with policy makers, legal aid providers, community law centers, law and technology and legal innovation experts, researchers, and educators across the country, learning about their approaches to access to justice. 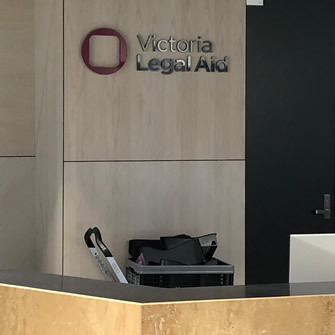 Australia and Victoria (the state where Melbourne is located and Australia’s largest population center) provide far more resources to address barriers to access than the U.S. and state government provide – and yet they still have an access to justice crisis (A2J). With these resources, the Australian A2J community has developed an impressive array of programs, strategies, initiatives, innovative tools, and evaluation methods. 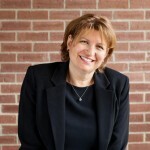 In addition to the provision of direct client services by legal aid organizations to under-served populations, there is a calculated focus by the A2J community on upstream client issues (identifying and catching problems before they develop and escalate), as well as a concerted effort to address systemic failures in the justice system. 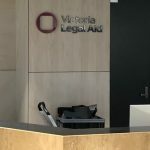 For example, Victoria Legal Aid (VLA) provides targeted and comprehensive community education programs and projects. To illustrate, public education forums, websites, publications, and apps have been developed to inform youth under 25 of their rights and responsibilities concerning bullying, online harassment, work, public transport, driving, and public behavior generally. With respect to systemic failures, VLA was tasked with looking into the challenges and stressors of youth charged with non-violent crimes. Through the telling of client stories and the development of “journey maps,” the researchers were able to identify the key pain points in the process and develop recommendations for implementation. Their focus was human-centered, targeting attention on the functional, social, and emotional tasks required of people who find themselves in the system. Over the next few weeks, I will be attending conferences and meetings across the country, where I will be presenting my research and continuing to gather ideas that can be scaled and replicated in the U.S. Australia is a beautiful country, and my husband Tom and I are enjoying our time here enormously. If you want to see what I am doing when I’m not talking “all things access to justice,” follow me on Instagram.